Going rustic for your home décor is a great idea to liven up your old memorable items that connects you to the past. The textures, shapes and warmth of the style is becoming popular nowadays. 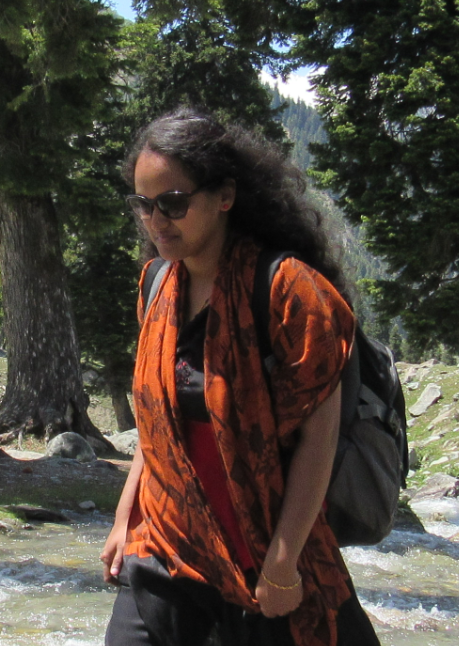 It is bold and simple in style, highlighting the pure beauty of nature. So what is your décor style? Scroll down to choose from these irresistible rustic décor ideas and stick on to real world of nature at home. The ultimate place to spend more valuable time with family is your living room. The pure rustic log furniture appreciates the beauty of nature showcasing a wooden wonderland at home. 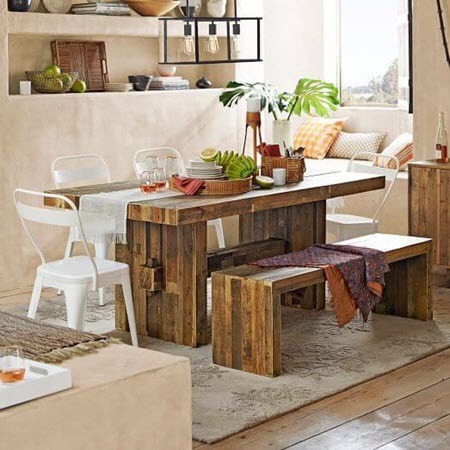 Make it more comfortable, functional and close to heart with these amazing rustic furniture’s. Combination of warm woods with organic decors will relax and comfort you in bedroom. 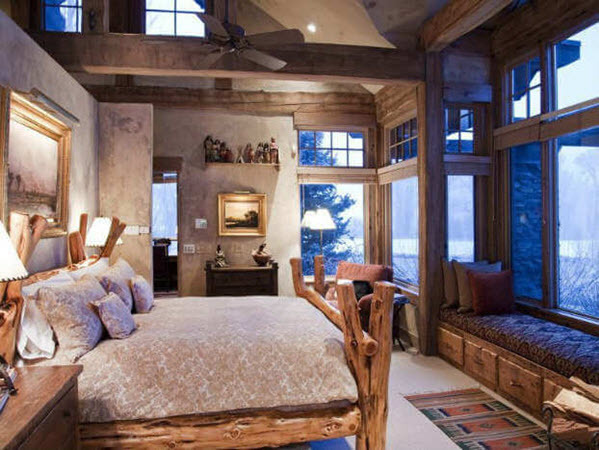 The rustic bedroom reveals a mild beauty that would carry you deep into woods calming your mind for a good night’s sleep. Feel the connection of outdoors in your master bedroom. 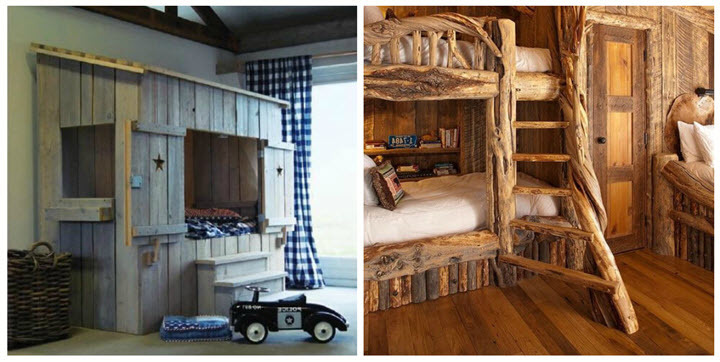 Rustic style with colors can do wonders in your kid’s room. The cute creative bunk beds make the room more than just a place to sleep for the little ones. Choose smooth edged wooden decors considering the safety and comfort of the kids. Can also bring in bright colors to make the décor more interesting for the little champs. Nothing is better than a good old-fashioned wood table with chairs. This has got a distinctive beauty that perfectly match your space for rustic theme. The dinning furniture defines the love of your family towards reclaimed wood and its ageless beauty. This style will take you back to your granny’s kitchen. Going rustic will keep you away from the city just when you get back home. The French country kitchen provides certain charm and warmth to your cooking area giving refined looks to the heart of the home. Just jump into the beauty of rough wood to experience a refreshing bath with nature. 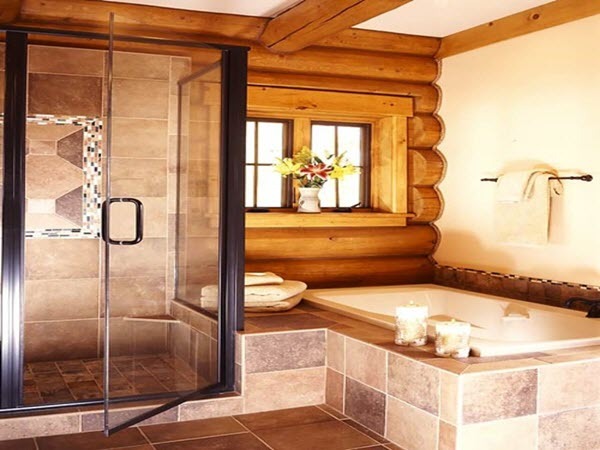 The log cabin is a modern rustic mix that makes your bathroom look like a wood cabin. The vanity cabinet is the perfect choice, if you have plans for a farm house style rustic theme. Splash up with cheer and enjoy a fresh bath time at home with these rustic decors. Going rustic in style creates maximal coziness to the space. 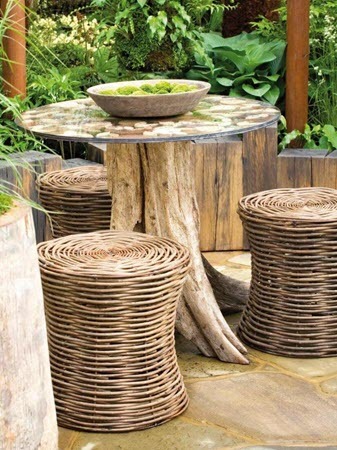 The trunk cut tree table, unique rattan round stools with the rustic elements give a casual country look to your garden. Discover your own unique style of decorating and enjoy staying outdoors all seasons. Rustic interiors often feel like outdoors, the same kind of comfort and happiness is maintained everywhere at home. Even imperfections would add a great style to your rustic theme. Each décor chosen will tell a beautiful story of the past. 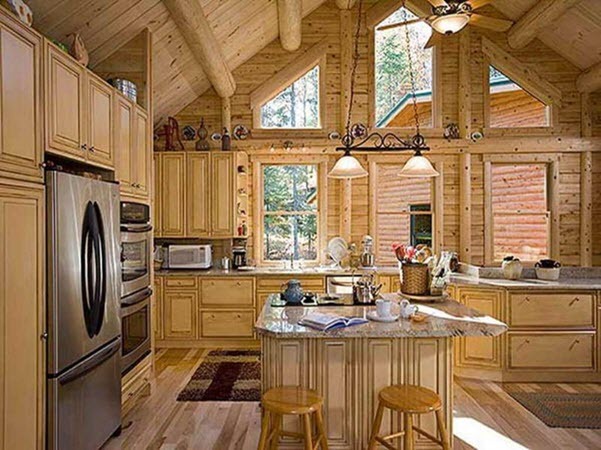 So never miss your loving rustic moments that will add to the uniqueness of your home.